The project involved the assessment and decommissioning of a military aviation fuel storage and distribution system at a former USAF air base. 30,000,000 litres of fuel were stored in 99 tanks. The tanks contained contaminated water and free-phase kerosene product. The fuel distribution network consisted of 23km of underground pipeline. Due to the site’s cold war heritage (used as a fast response base against nuclear attack during the 1970’s and 1980’s), the site was designated and protected by English Heritage. The site was also located immediately atop an aquifer and had protected grassland status. Initial assessment of quantity and quality of tank contents. Through trial pitting, reference to old drawings and specialist underground surveying, location of underground fuel pile lines. 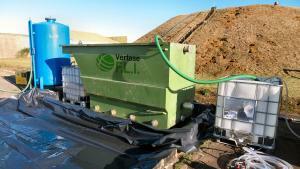 Collection of free product and sludge from tanks and fuel pipe lines for offsite recycling / disposal. Recovery of approximately 9,700,000 litres of oily water for subsequent treatment in our own Waste Water Treatment Plant. Confined space entry into all tanks to undertake cleaning and de-gassing. Foam fill of 23km of buried pipeline. Designed and manufactured PFA / OPC grout to fill and make safe tanks. Grout was manufactured on site in our own batching plant using PFA imported from nearby Didcot Power Station. 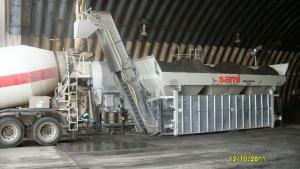 3,500,000 litres of treated tank water was used in grout manufacture, whilst the remainder was discharged to ground. Extensive environmental monitoring during the works.